We chatted with Bea Vasey over at Altered Elegance for an inside look into bridal alterations! One of the most common questions we get from brides in our store is about alterations: how long they take, what they cost, and who we recommend. We have sent lots of our brides over the years to Bea and she always does amazing work at an affordable price! We hope this interview can shed some light into her world and what a bride needs to know about it! Do you offer alterations for other things (besides wedding gowns)? If so, what? "Yes I do...zippers, hemming, and all general alterations." Bea changing a zipper back into a corset! How far in advance do you like a bride to bring her dress in? "As soon as the bride gets her dress. This will determine how much work needs to be done, price and it will reserve an alteration spot. However, alterations do not need to be started right away, sometimes a bride likes to wait until closer to the wedding." How long have you been doing wedding alterations? What is your turn around time for wedding dress alterations? What sets your work apart from other seamstresses? "Customer service, friendly and relaxed atmosphere, I listen to the brides needs, workmanship and affordable pricing." If you have your gown and are looking for someone to bring it in, let it out, add crinoline, add straps, or make just make it more unique, Bea is located in Petrolia and loves what she does! Visit her Facebook Page or give her a call at (519) 882-4789. Are you still on the hunt for your perfect gown, book your appointment with us today! 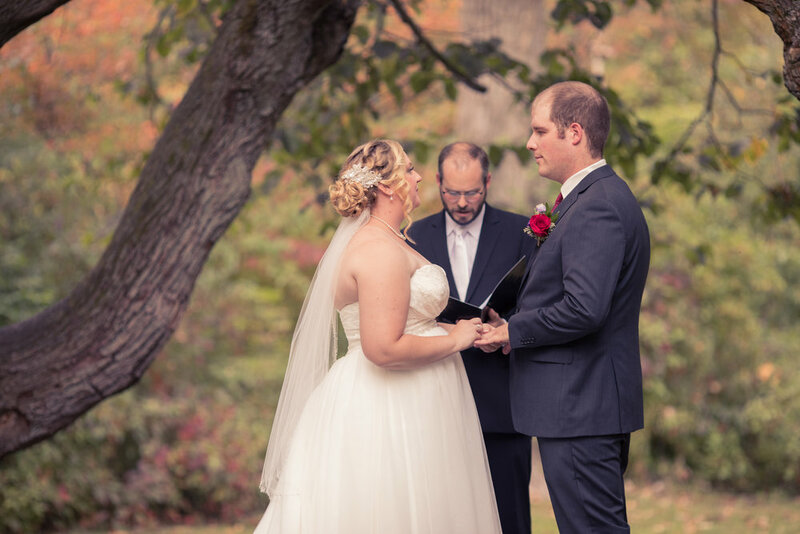 We are so grateful for all of our wonderful Once Upon A Time Wedding brides and this month we are thrilled to share with you our April Real Bride - Carolyn Berry and her husband Michael! These two were friends long before starting to officially date in high school and we can tell from their wedding photos that they are one fun-loving couple! "When we started dating after years of being best friends." "It was during Christmas and he pretended he forgot to put this gift inside the gift box. He had asked me to come into the kitchen and he was down on one knee. Just the two of us." Stop by again next week when we share how Carolyn said yes to the dress! Did you buy your dress with us and want to be featured on our blog? Send us an email at info@onceuponatimeweddings.ca for more information. Are you still in search of your perfect gown? Book your gown shopping experience with us today!